VMC2 is the latest member of the GUI suite of the NTP VMC (Visual Matrix Control) management control software, which serve as software clients for user operation of an NTP Router system based on the RCCore Router control system running on the redundant NTP 635 controllers. 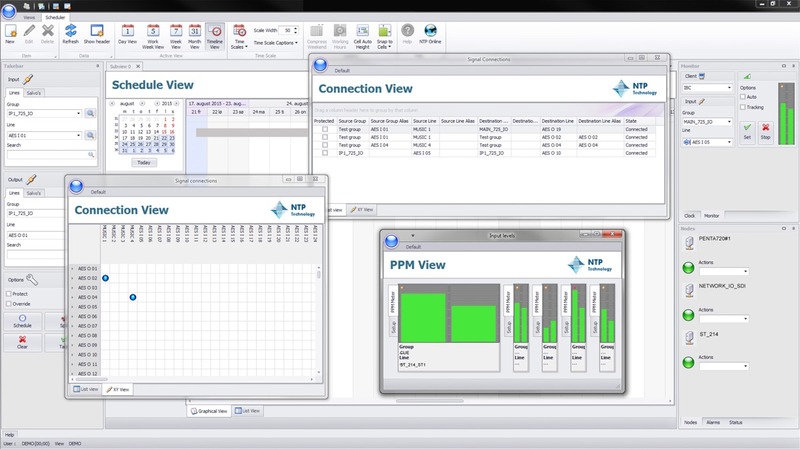 The NTP user control clients and the control system, provides failsafe ethernet based control of the NTP Router and I/O products being Penta 720. Penta 721 or the 625 product line.